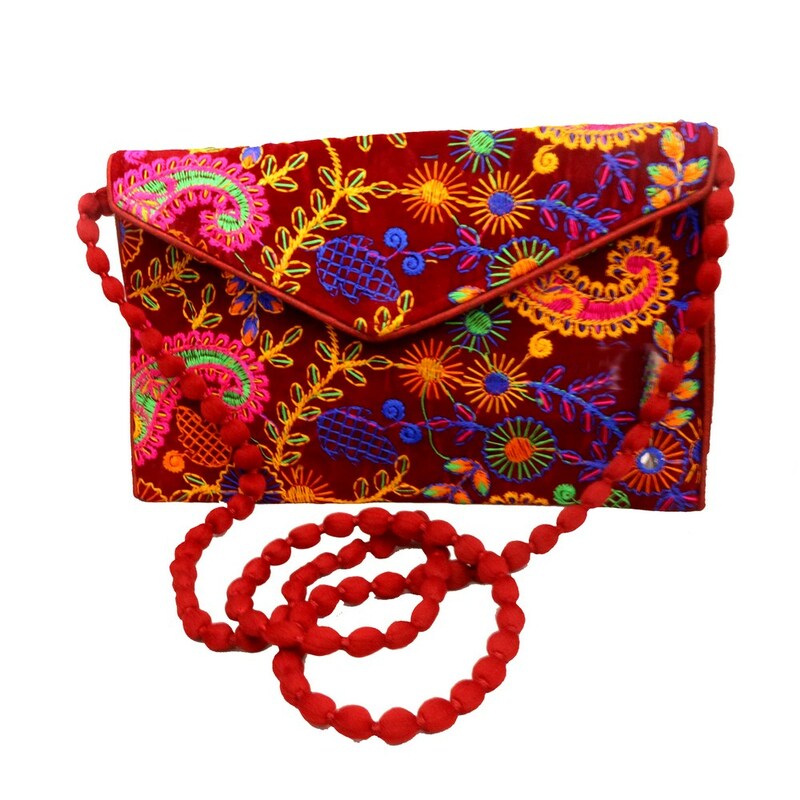 This red coloured sling clutch bag is suitable for traditional ceremonies. The hue along with the dense network of embroidery carved all over makes this Read More..bag look traditional and culturally afflicted. It also comes with a designer sling which besides being trendy, is quite comfortable. Show Less..